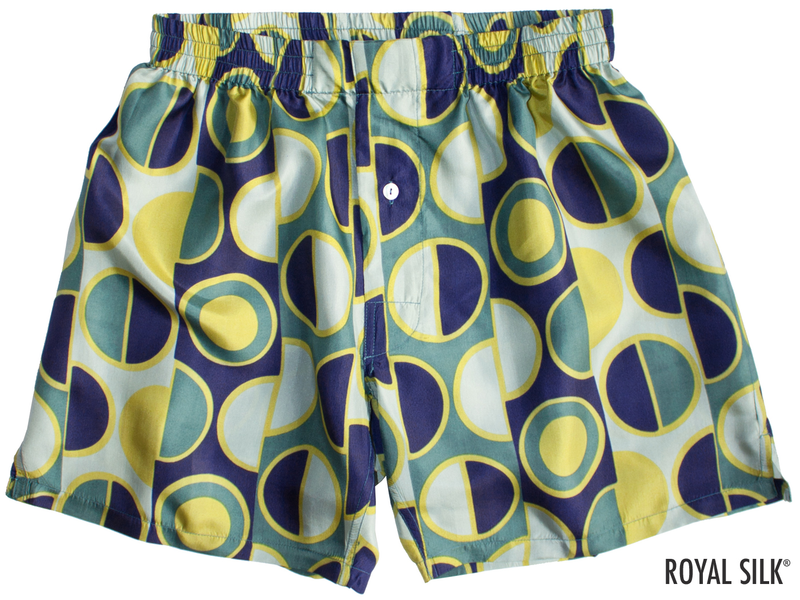 Men’s 100% silk boxers by Royal Silk® in an abstract pattern of green and black circular motifs. 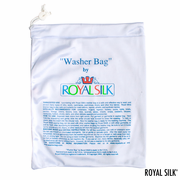 Made of light, soft, and fluffy Mulberry Silk in 50gm weight. The relaxed elasticized waist allows for an easy, comfortable fit. Available for waist sizes: S (30-32"), M (33-34"), L (35-36"), XL (37-38"), 2XL (39-40"), and 3XL (41-42"). The boxers are full cut with lengths ranging from 16.5" to 17.75" for sizes S to 3XL. Inseams are about 5.5" for all sizes. Three-panel construction allows for roomy comfort. Full-sized fly front with single-button opening. Single-button fly closure features 0.5" mother-of-pearl button. Extra button included. 100% silk. Imported. Hand wash or dry clean. 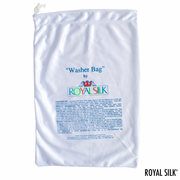 Or safely machine-washed using our highly-rated, made-in-USA laundry bag for silks that is available in two sizes and purchased separately. $39.